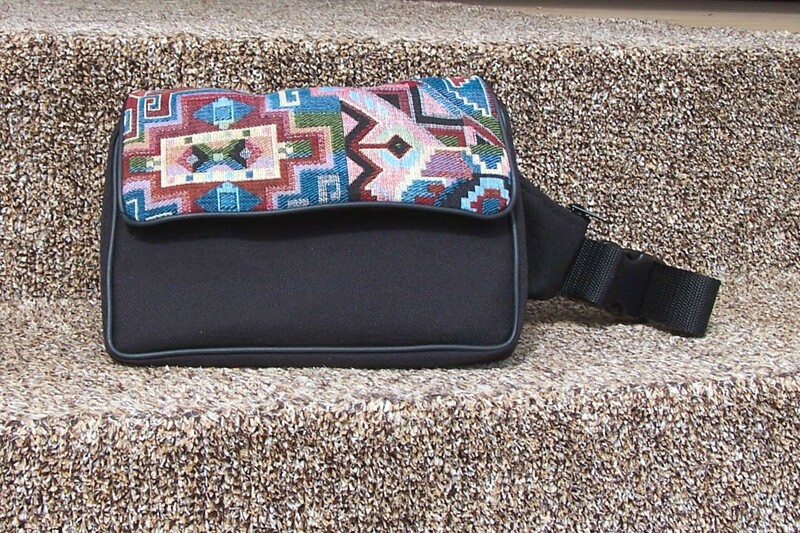 Tapestry Fanny Pack: The perfect sized waist pack. 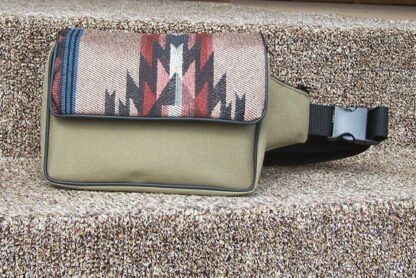 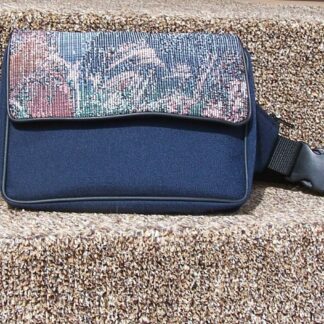 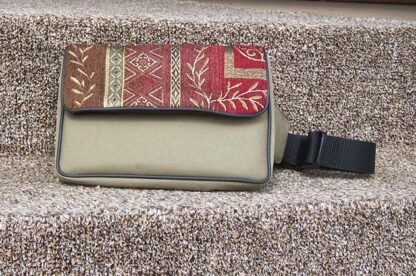 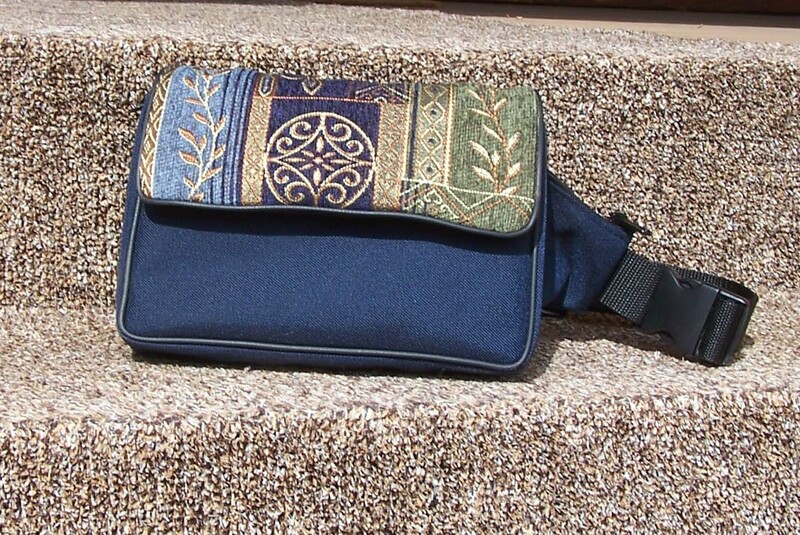 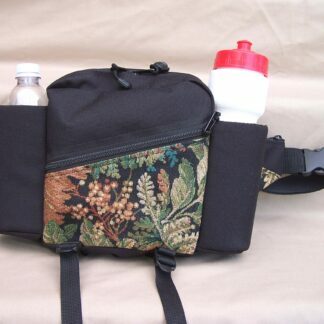 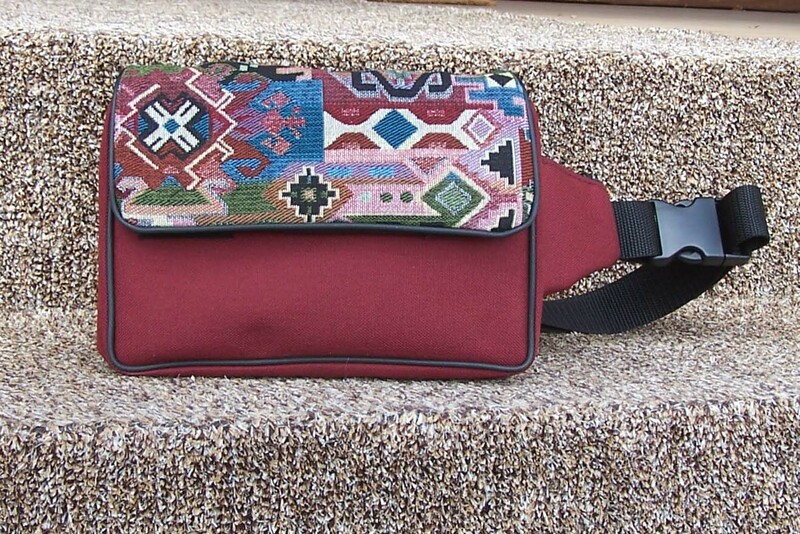 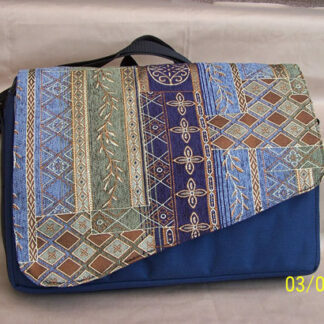 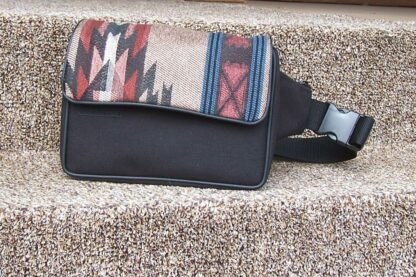 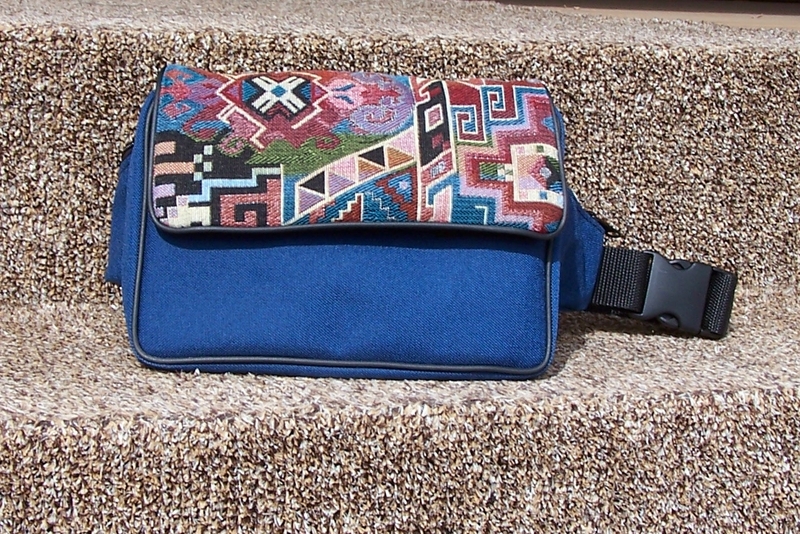 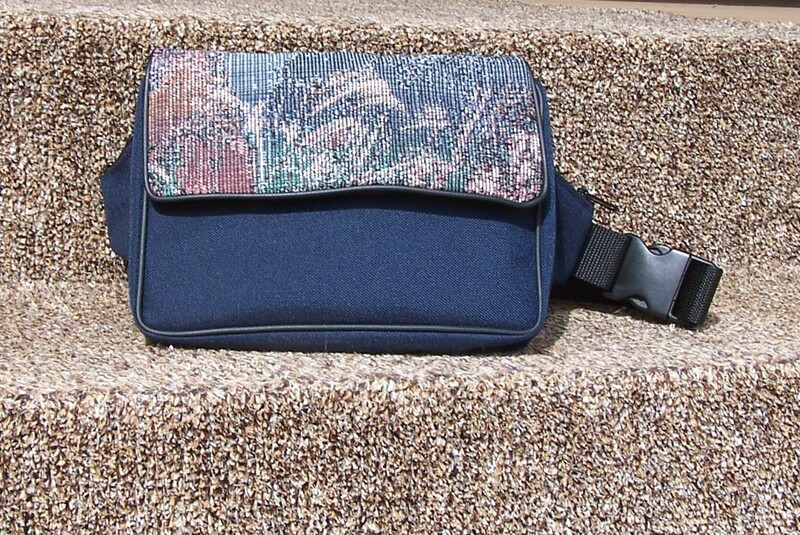 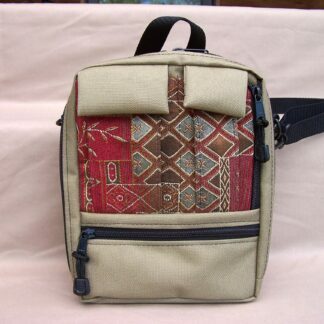 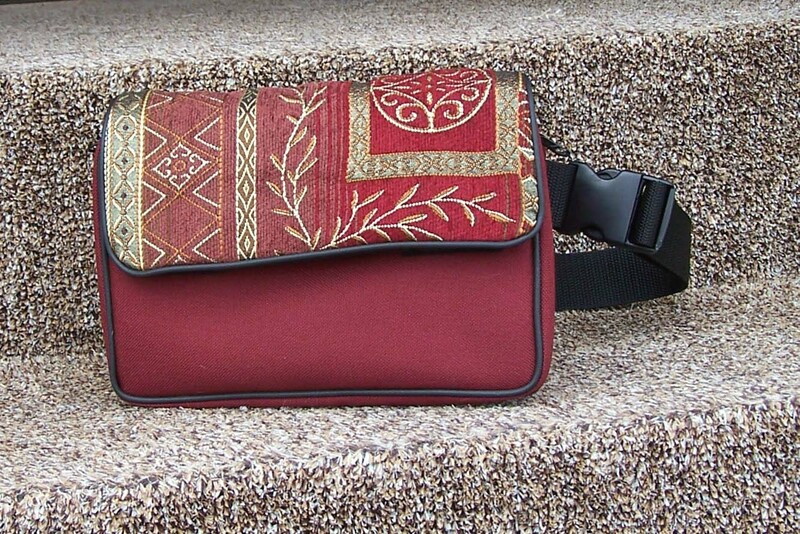 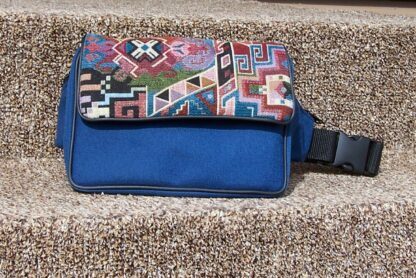 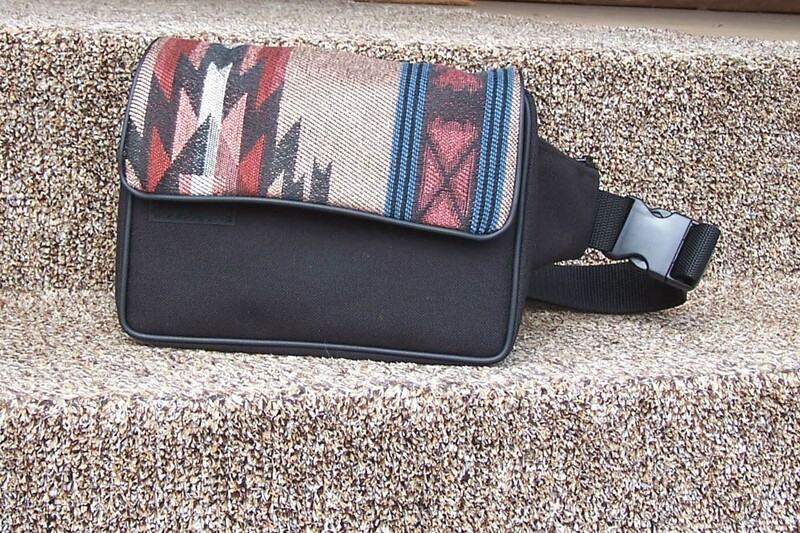 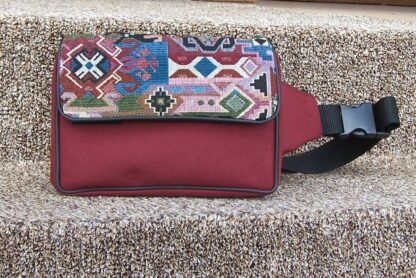 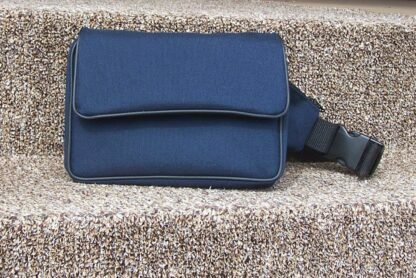 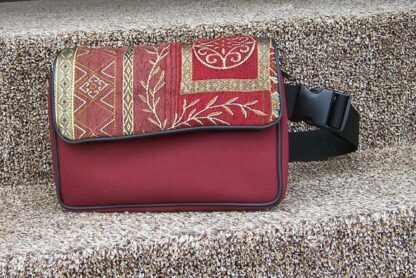 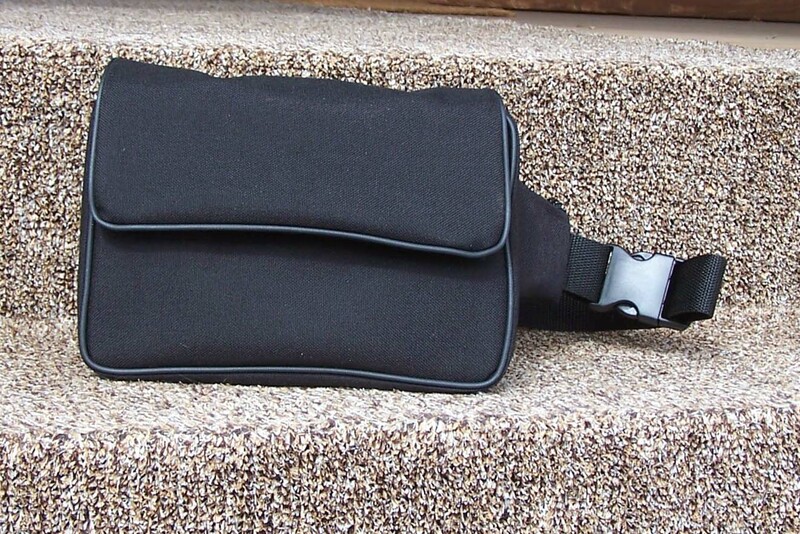 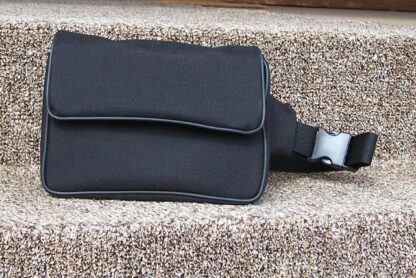 Tapestry Fanny Pack (7H x 9W x 2D) We call it a “middle pack” because it goes around your middle!! 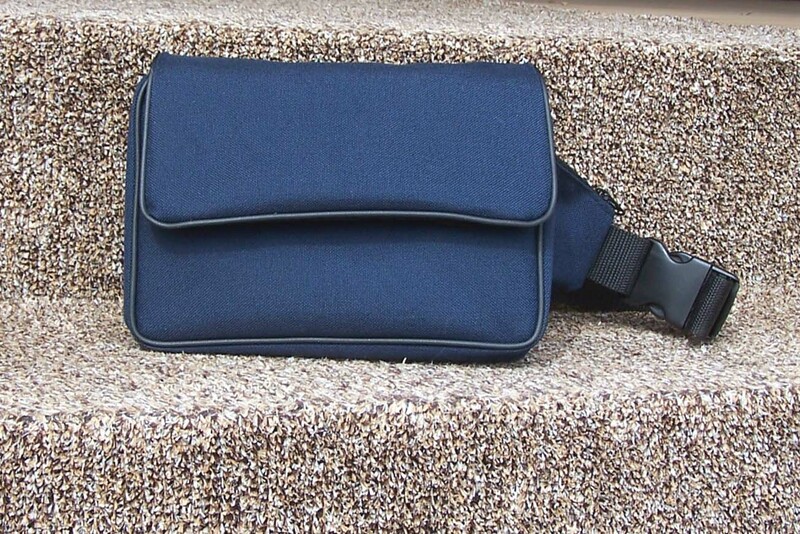 The perfect size! 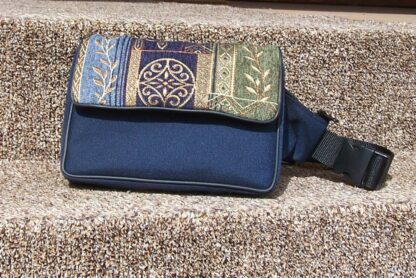 Spacious main compartment holds wallet, sunglasses, etc. 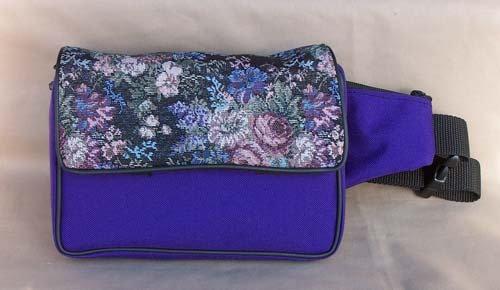 Two wing pockets for keys, coins. 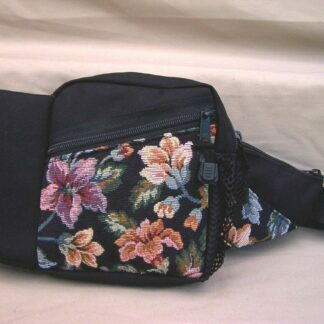 Zippered pocket in top flap and slip pocket on the front.